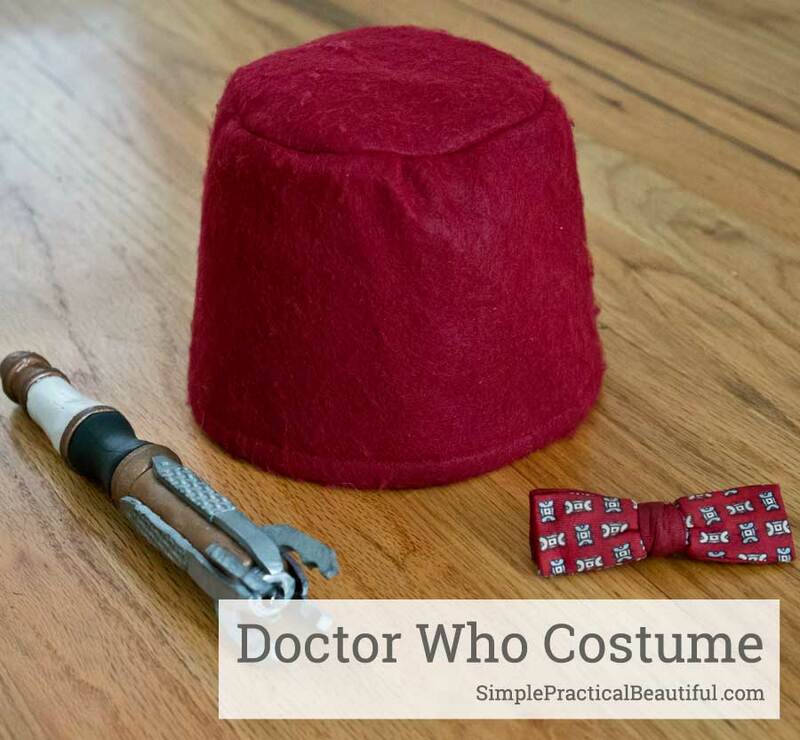 How to Make a Fez Hat for you Doctor Who costume or cosplay, specifically for the 11th doctor played by Matt Smith. 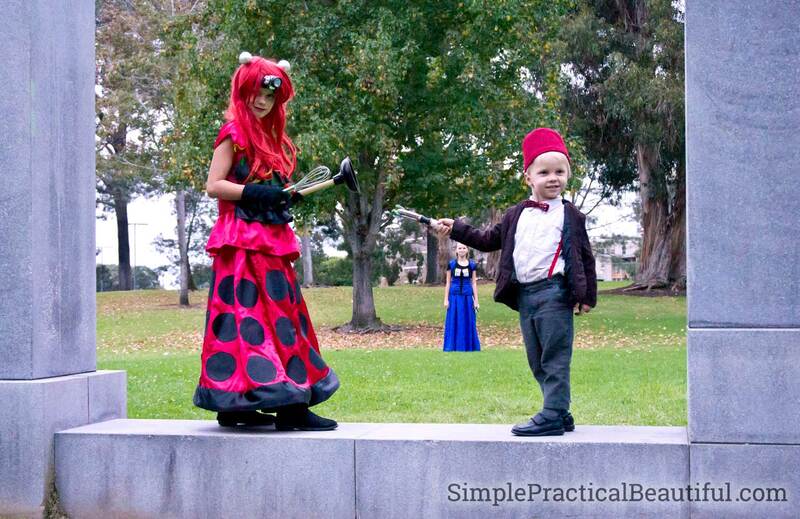 My son was the eleventh Doctor for Halloween, so I had to make him a fez to wear. Especially since all of our costumes were based on the Doctor Who episode “The Pandorica Opens”. Well, okay, technically, the doctor didn’t get his fez until the next episode, “The Big Bang,” but fezzes are cool. Every Doctor Who fan knows that. A fez is a pretty simple, felt hat, so it wasn’t hard to make. The hardest part was making it the right size to fit a 3-year-old’s head. For that, I had to do a little fez math. Luckily, there is a YouTube video all about fez math. How cool is that? So, I started by measuring my son’s head. It’s inches. Then I did some fez math and created a pattern on the computer. If you need a fez about the same size, you are welcome to download my fez pattern here (then you don’t have to do any fez math). First, cut the two fez pattern pieces out of stiff iron-on interfacing. Felt alone is not stiff enough for a hat. It needs a stiff interfacing on the inside to hold it up. 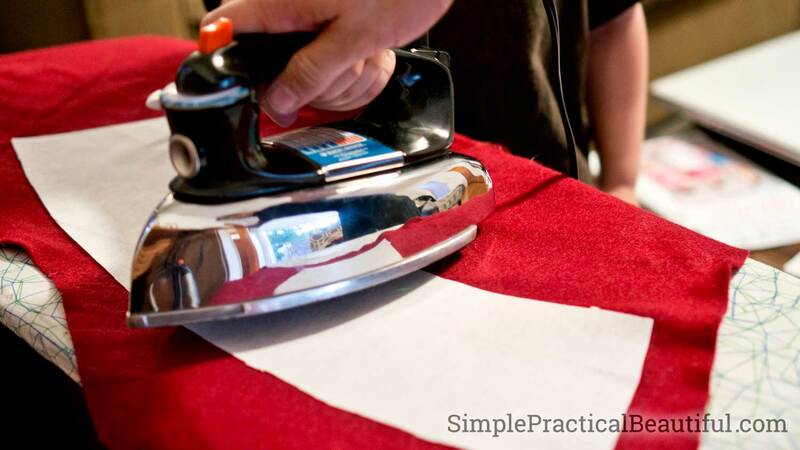 And the iron-on glue keeps the felt from sagging. Next, iron the interfacing pieces onto red felt. 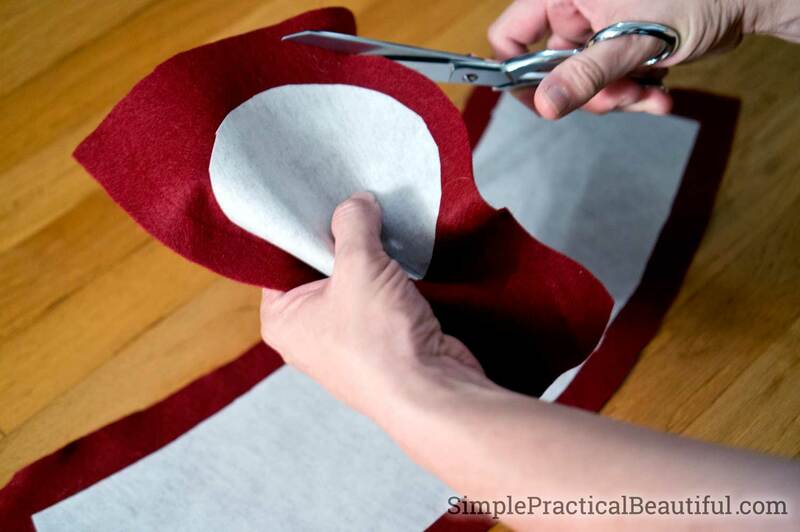 Cut out the felt, leaving a half-inch gap between the interfacing and the edge as a seam allowance. The pattern does not include a seam allowance because you don’t really want interfacing in the seam. It makes it too full. 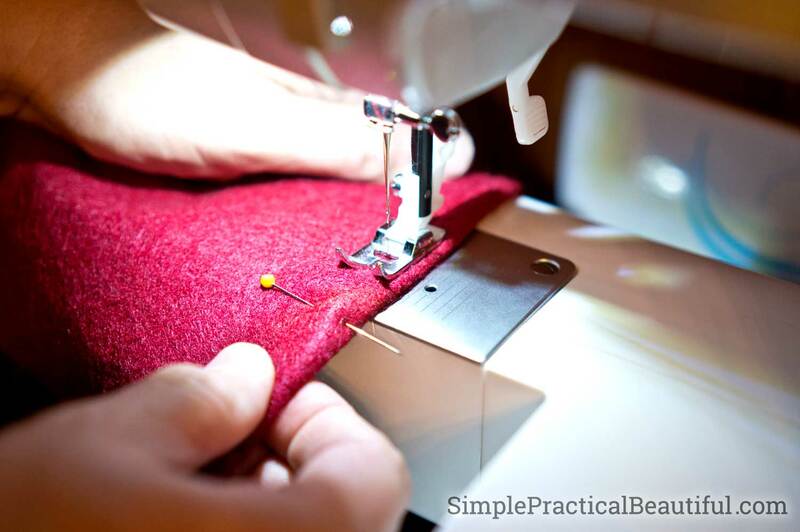 Sew the short ends of the long piece together to create a tube, leaving a 1/2-inch seam allowance. This is the sides of the fez hat. 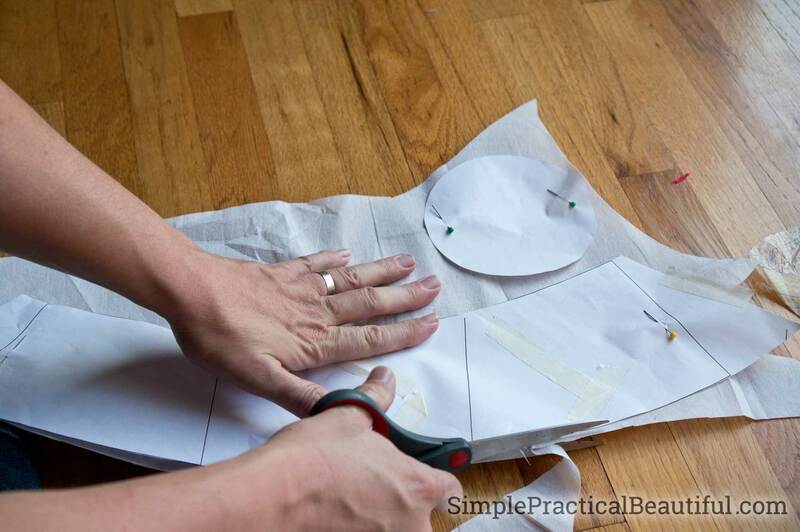 While it’s still inside-out, pin and sew the circle onto the smaller end of the top, again with a 1/2-inch seam allowance. The circle is the top of the hat. You can clip the seam allowance to make the edge crisper. Finally, fold the bottom of the hat (the wider end of the tube) up 1/2 of an inch and sew a small hem. Try on your fez hat and check to see if it fits. Because it’s made from felt, it will stretch out a little, but the interfacing will prevent it from stretching too much. 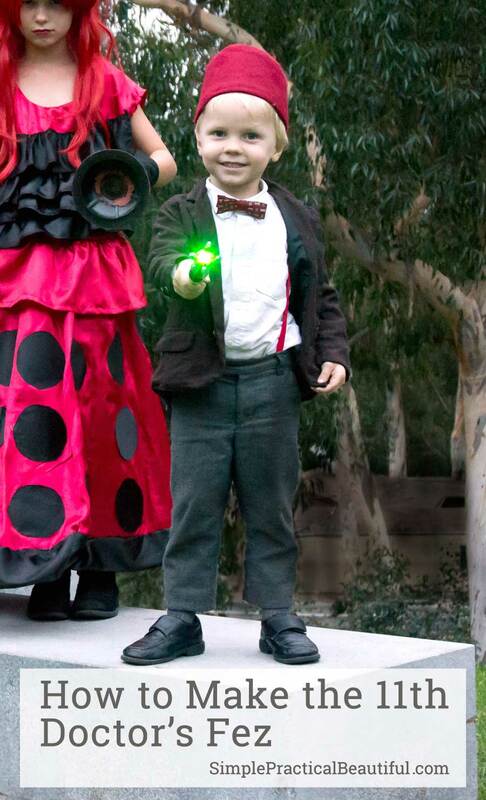 Here’s my little Eleventh Doctor with his fez hat, suspenders, and sonic screwdriver. 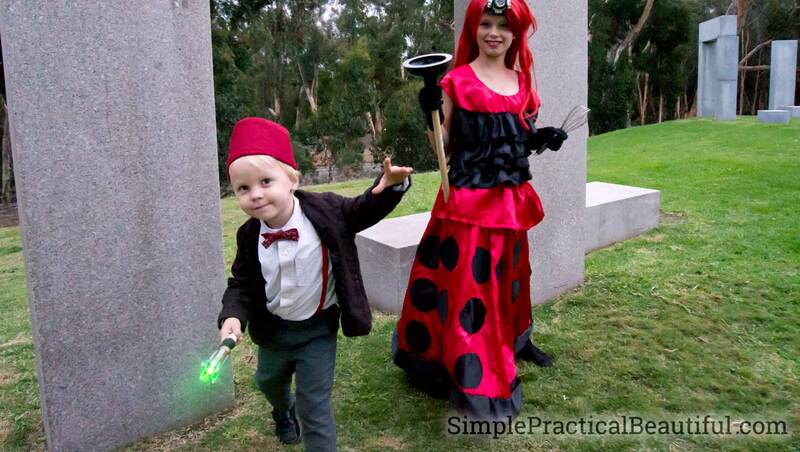 Don’t forget to check out how to make the rest of our Doctor Who costumes.